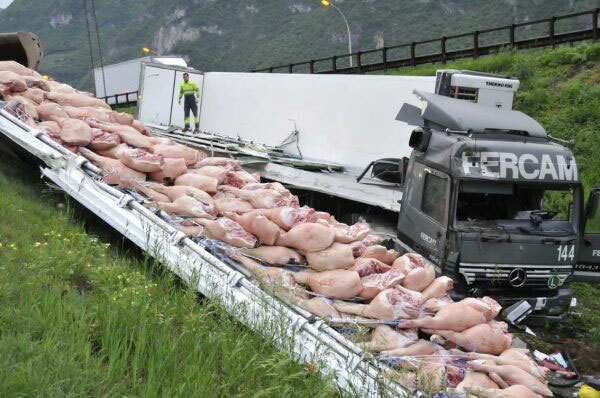 On May 23, 2008, a truck loaded with future hams ran off the A22 highway in Trentino, Italy and overturned. 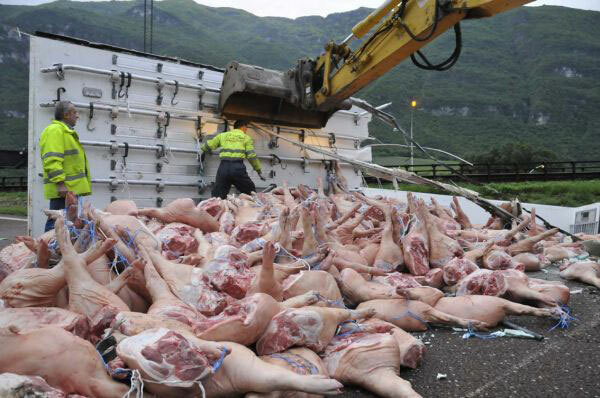 The truck split open, spilling two tons of pork legs on the side of the road. 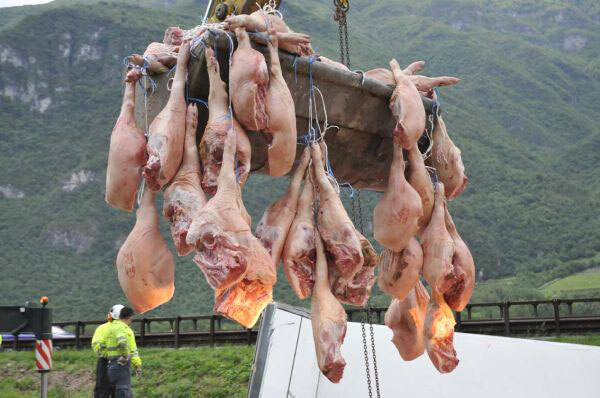 They appear to have been hanging from the roof of the truck. 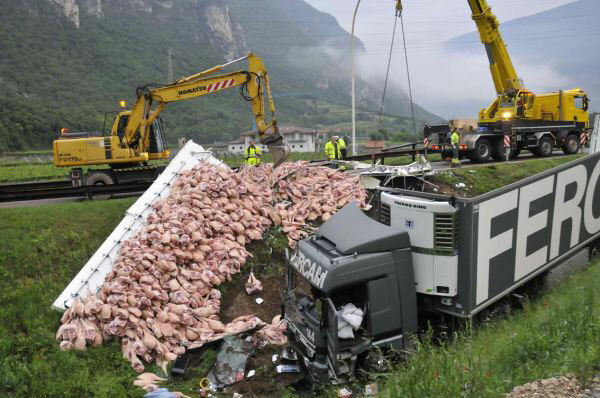 Thanks to Daniel B. in Milan, Italy for sending us this story.